OTTAWA, Dec 3, 2018 /CNW/ - Canada risks losing some emblematic pieces of the biodiversity puzzle. The Committee on the Status of Endangered Wildlife in Canada (COSEWIC) determined that a widely-distributed tree (Black Ash), our largest land predator (Polar Bear), and many populations of our biggest salmon (Chinook) are at some risk of disappearing from Canada. In less than two decades, an exotic beetle named the Emerald Ash Borer has killed roughly two billion mature ash trees in the North American Great Lakes Region. The beetle is spreading rapidly. Many city parks, including those in Toronto, Montreal, and Ottawa, have already lost most of their ash trees, including Black Ash. The insect's impact is expected to be lower and slower in the colder northern edge of the tree's range, but the future of Canada's 162 million Black Ash trees looks grim. The loss of Black Ash will remove an important source of wood for commercial and traditional uses like furniture, flooring, snowshoes, and baskets. This tree species was assessed as Threatened. "Just because a species is common does not mean it is safe", warned Donna Hurlburt, a Mi'kmaw member of COSEWIC. "Just think of the extinct Passenger Pigeon." 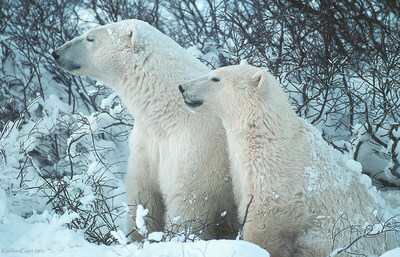 Another widespread species considered by COSEWIC was Polar Bear. To hunt seals, its most important food source, these bears use sea-ice and some of the same sit-and-wait techniques familiar to ice fishers. Predictions for longer and longer ice-free Arctic summers will make seal hunting much more difficult for Polar Bear. However, Inuit, who know the species well, are cautiously optimistic, suggesting that the bear's adaptability may save it, even if seals become more difficult to capture. In its assessment, COSEWIC took account both of extensive Indigenous knowledge and western science, and determined the Polar Bear's status to be Special Concern. While not currently threatened with extinction, the species faces an uncertain future. Graham Forbes, Co-chair of the subcommittee charged with assessing the bear's outlook, summed up the deliberations: "It is clear we will need to keep a close eye on this species. Significant change is coming to its entire range." The species will be re-assessed by COSEWIC within the next decade. COSEWIC also examined the status of Chinook Salmon, the king of the Pacific Coast salmon species. Mainly a migratory species, these large-bodied fish were historically abundant. 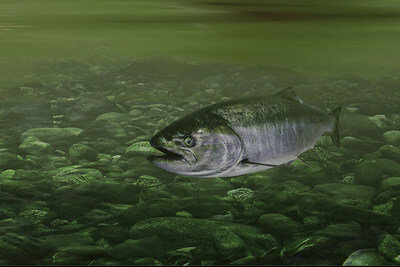 Chinook Salmon are important culturally and as a food source for diverse groups of West Coast people, and also provide food for a diversity of wildlife species. The committee found 13 populations to be declining, with 8 assessed as Endangered, 4 as Threatened and one as Special Concern. Only the large population that lives in the Thompson River is stable. "Many of these populations are in trouble", stated John Neilson, Co-chair of the Marine Fishes subcommittee. "This may impact many species, including Endangered Southern Resident Killer Whale, which rely on Chinook Salmon for food." All three species are of special significance. "They are more than just important components of their ecosystems", noted John Reynolds, Chair of COSEWIC. "They are also part of our rich cultural and biological heritage." Further details on all wildlife species assessed at this meeting can be found on the COSEWIC website (https://www.canada.ca/en/environment-climate-change/services/committee-status-endangered-wildlife.html). COSEWIC's next scheduled wildlife species assessment meeting will be held in April 2019 in St. John's, Newfoundland and Labrador. COSEWIC assesses the status of wild species, subspecies, varieties, or other important units of biological diversity, considered to be at risk in Canada. To do so, COSEWIC uses scientific, Aboriginal traditional and community knowledge provided by experts from governments, academia and other organizations. Summaries of assessments are currently available to the public on the COSEWIC website (https://www.canada.ca/en/environment-climate-change/services/committee-status-endangered-wildlife/assessments.html) and will be submitted to the Federal Minister of the Environment and Climate Change in fall 2019 for listing consideration under the Species at Risk Act (SARA). At that time, the status reports and status appraisal summaries will be publicly available on the Species at Risk Public Registry (https://www.canada.ca/en/environment-climate-change/services/species-risk-public-registry.html). At its most recent meeting, COSEWIC assessed 36 wildlife species in various COSEWIC risk categories, including 15 Endangered, 8 Threatened, and 8 Special Concern. In addition to these wildlife species that are in COSEWIC risk categories, COSEWIC assessed 1 as Extirpated, 2 as Not at Risk, and 2 as Data Deficient. COSEWIC comprises members from each provincial and territorial government wildlife agency, four federal entities (Canadian Wildlife Service, Parks Canada Agency, Fisheries and Oceans Canada, and the Canadian Museum of Nature), three Non-government Science Members, and the Co-chairs of the Species Specialist and the Aboriginal Traditional Knowledge Subcommittees.